The following factors play a crucial role in choosing the right snowboard. CamRock, Banana C2BTX, sidecut, effective edge… oh boy there is a lot of information out there which is why we have created this easy to use snowboard guide to help you narrow down the options. So, for example, if you are going to be mostly freeriding consider getting a slightly longer board for more stability and speed. If it's a freestyle snowboard you are looking for, consider smaller sizes that will be easier to spin and maneuver in the terrain park or half-pipe. Size 10 and size 11.5 Burton Grail Boots shown in Union Force Bindings on a Lib Tech Park Pickle BTX with a waist width of 255 mm. 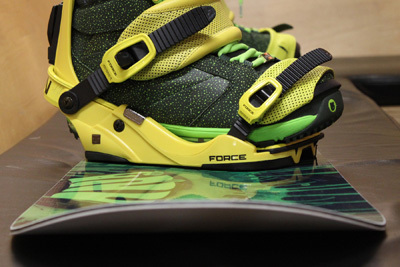 Both boot sizes work on this width snowboard. Powder snowboards love powder. Often associated with freeride snowboards, powder boards sometimes feature a wider nose and a tapered narrower tail. 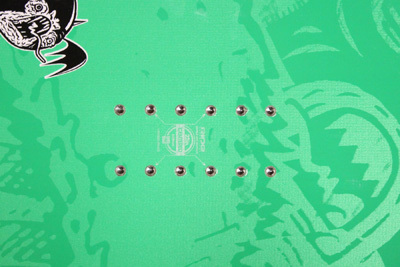 The binding inserts, which determine the rider's stance, are often set back on a powder snowboard to help the rider float the tip of the board through the deep stuff. Powder snowboards often feature generous rocker, a design element where the tip (and tail) rise starts farther back on the board, which also helps the rider maintain tip float through the pow. A splitboard is built specifically for the backcountry rider. Splitboards are designed to break down into two separate halves for touring and uphill travel (with climbing skins). Special bindings are required as well. Once you've reached the top, you reconnect the two halves for the ride downhill and ride normally. Don't forget the appropriate avalanche safety equipment and skills, knowledge of the terrain, weather and snow conditions (plus climbing skins) when you head out on your splitboard. A growing number of snowboards feature asymmetrical sidecut profiles, asymmetrical cores, or both. The idea behind asymmetrical shaping is that your body is not symmetrical from front to back, so your snowboard shouldn't be either. Boards with shorter heel side and longer toe side sidecuts, along with softer heel side cores make riding easier and more fun! For more info, see our Asym Snowboard Guide! A rocker snowboard (also called reverse-camber) is just as it sounds – camber turned upside down. The side profile is the opposite of a camber board, with a smooth downward curvature and less edge contact when the board is weighted. Rocker boards float well in powder and pivot more easily underfoot. They also tend to be less “hooky” at both tip and tail and better for landing spin maneuvers when you don’t quite have enough rotation. Camber, Rocker, and Flat profiles are combined in a variety of ways to create an array of rocker profile choices for riders. Other combinations of board profiles include Rocker/Camber Snowboards and Rocker/Camber/Rocker/Camber/Rocker Snowboards. Furthermore, brands are constantly evolving and experimenting with new rocker offerings. Camber dominant profiles have become increasingly popular of late. We have done our best to make sense of all these different combinations, but keep in mind different brands will combine the above profiles in many different ways. So what is better? The answer: no one profile beats the other and it really comes down to your personal preferences. Typically, camber offers better edge hold and stability on hard pack and at high speeds while rocker offers more float in the powder and catch-free edges for terrain park riding. Rockered snowboards can be great for beginners because they facilitate easier turn initiation. Advanced riders who like a loose feel may also enjoy riding a rockered board. Check out our Rocker Guide for more information about rocker and its benefits. 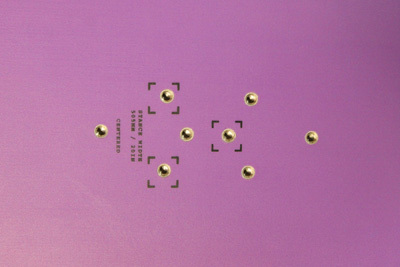 There are four different snowboard hole patterns that you will find on conventional snowboards. The patterns include: 4x4, 2x4, Burton 3D and Burton Channel. 3D and Channel technology are specific to Burton Snowboards, although some board makers have begun liscencing Channel technology from Burton. 2x4 is a variation of 4x4 that gives the rider more mounting options. *Important note: Many Burton snowboards feature a Channel design. Burton bindings built for The Channel are referred to as Burton EST bindings. 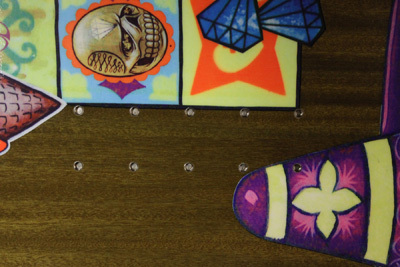 Most non-Burton bindings will require special hardware to be used on snowboards with The Channel. Please contact evo Customer Care 866-386-1590 for any questions about snowboard binding compatibility. As much as you want to buy a snowboard your child can grow into, it is important to find a snowboard that will work for him or her now. Do you want your kid to love the sport? We thought so. 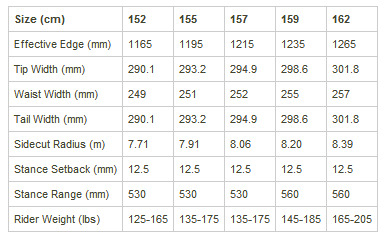 The correct size snowboard will help your child progress faster and have a lot more fun in the process. Kids’ snowboards are typically softer than adult snowboards making it easier for kids to initiate turns and learn to ride. Price is almost always a consideration when shopping. At evo we are very selective of the snowboards we sell. We strive to always offer quality products at the best prices, but there is a huge range of choices and prices. Details like the type of wood used in the core, type of laminates used in the layup, quality of base material and edges, and how all these elements are put together in a board affect both its ride and durability. Quality materials and advanced design cost money. If you plan to ride your snowboard for multiple seasons or ride many days in a year, spending a little more for quality and durability is probably worth it. Camber and rocker refer to the profile and curvature of the snowboard. See our Rocker Guide for more information. This is the material that makes up the middle of your snowboard. Typically, core material is wood or a mixture of different types of wood. 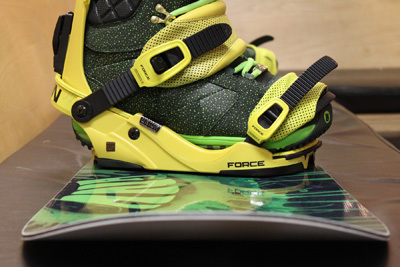 Foam and certain other materials can also be found in snowboard cores. The edge length of the snowboard that actually makes contact with the snow when the board is on edge is referred to as the effective edge. 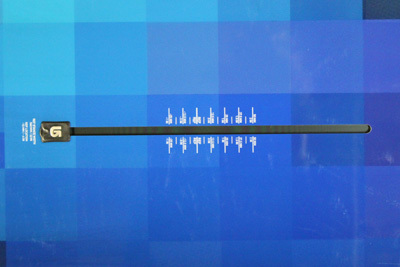 The effective edge is shorter than the snowboard length. A longer effective edge will add stability and a shorter effective edge makes your snowboard feel looser and easier to turn. Extruded snowboard bases are made from polyethylene (often called P-Tex). The term extruded refers to the process of heating and forming the material into sheets in the manufacturing process. Extruded P-Tex is relatively inexpensive. These bases do not hold wax as well as sintered bases, and so they can be slower than a well-tuned sintered base. However, an extruded base can perform better than an unwaxed sintered base and are very durable. Magne-Traction™ is a proprietary, serrated edge technology developed by Mervin Manufacturing and found on Lib Tech, GNU and Roxy snowboards. Serrated edges are designed to cut into the snow like a knife and give you more edge hold and control than non-serrated edges. Sidecut radius is the radius your board would create if the edge was extended out into a complete circle. Smaller sidecut radii indicate a board that will naturally make smaller, shorter radius turns; larger radii suggest a board that will naturally make larger radius turns at higher speeds. Sintered snowboard bases are designed for super-fast glide. Like extruded bases, sintered bases are made from polyethylene (P-Tex). But unlike extruded bases, sintered bases are produced by compressing tiny pellets of polyethylene rather than melting and pushing it out in a sheet. Sintered bases are very porous and absorb wax well. When waxed and maintained properly, they are much faster than extruded bases. Often additional materials such as Gallium, graphite or Indium are added to the bases to provide increased impact resistance, durability and glide. Sintered bases are typically more expensive and can be more difficult to repair than extruded bases. The tail width is the snowboard measurement at the widest point of the tail. The tip width is the snowboard measurement at the widest point of the tip. The waist width is the length of the snowboard at its narrowest point. 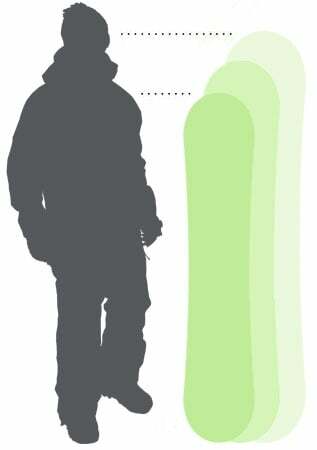 Snowboard widths - tail, tip and waist - are typically measured in millimeters.